How is gospel of ghouls? 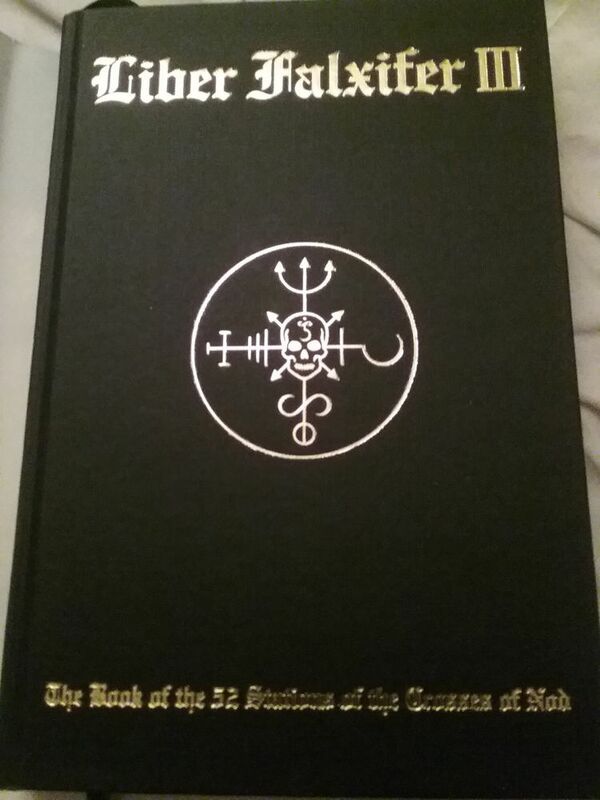 It’s on my to get list along with a few other necromancy texts. EDIT: It will be interesting to see how this works out for you. I conjure and evoke any regular to move this holy thread and place it in the temple of Necromancy category! Hear my call o ancient souls of BALG!! Thank you great spirit of @Nyxifer, you may leave now! In exchange for the completion of this task, I accept offerings of good beer, strange & disquieting poetry, and random acts of surreal absurdity. You have my eternal appreciation and I might consider burn an incense for you! Eh, I’ll take what I can get. On topic though to the OP, by Liber Felexus do you mean Liber Falxifer or if not who’s the author? Haven’t heard of that text. I looked the book up on Ebay and I think I found it. This grimoire is sold out. Will 30 days after purchase. | eBay! Do you have a cemetery nearby where you are not going to be disturbed?I´m asking because my proposition for you to is to get some graveyard dirt from a a recent grave. or a fairly recent. You need alcolol for example and rum and also three silver coins. Excuse me question what is gospel of ghouls, never heard of that ohe is it very dark awesome and dangerous too. Do you have a cemetery anywhere in the states or counties where you live? Anyway, Now what the baron said may mean certain things, Here is my hunch; You are asked to make your backyard into a altar area of somekind that houses shades. So altar of somekind it is. Here is something that is instructed in Dante abiels book; you would do a ritual with spirits of the dead where you would burn the altar after after Incantation that describes the altar being a portal for them. That would be done to a still portable yet big altar. Now, transform that ritual to fit your backyard(don´t worry, you don´t have to burn your backyard or accidently your house to do this). For example you could dig a hole, put some base inside of it and burn things in such a ritual. That is a safe way to do things(well, relatively). Not only that but you don´t need to make anything big to burn, you coiuld just use incense even. Here is the question though, how do you want to acquire shades?. The ritual to create a cemetery is easy but acquiring shades is another matter.